Well I am currently on my Annual Leave, but this trip is a bit of a strange one for me. I've left the laptop at home, have taken along my iPad, have absolutely ZERO access to WiFi internet and had my mobile phone seized by customs. 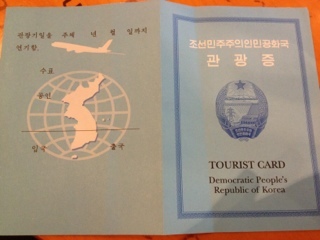 Would you believe it, I'm currently in Pyongyang. Of course I've had to schedule this post in advance, but this is a trip I've been looking forward to since as long as I can remember. During my Seoul trip I had a discussion with the two first officers, and telling them about my visit to the DMZ years ago when the thought actually hit me - bids were currently open for Annual Leave, so on recommendation from my friend Andrew I looked through the itinery list of various tour companies, then booked my leave to coincide with the Arirang Mass Games. The problem was, when bids were released, the allocations were out by one day, so now I have to fly back to Beijing rather than take the train, before making the final journey to Dubai. It'll be the first time I have travelled on an all-inclusive tour, stuck with the same people for 5-6 days which isn't my usual travelling style, but its something I can deal with to see a country so few tourists get to see in their lifetimes. I know that so much has been bandied about the country in the media, moreso than other tourist wastelands such as Bhutan, Somalia or Tajikistan, and I wanted to see for myself what the country was like. So on that note, I'll be offline for about a week, and hopefully have some excellent content for the blog when I return.